The gun reforms following the Port Arthur Massacre had unintended results. Guns were bought back by the government. 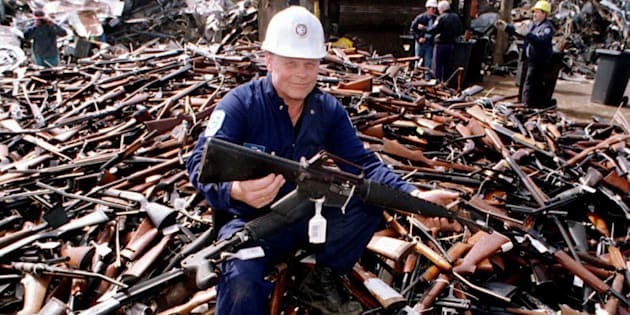 Australia's 1996 gun reform laws were introduced in the wake of the Port Arthur Massacre to prevent another mass shooting and there hasn't been one since. Yet the gun buy back also marked a clear decline in non-firearm murders and suicides. A new study in the Journal of the American Medical Association tracked the intended and unintended changes brought about by the firearm amnesty and regulations by comparing the 17 years before and after the massacre. Firearm suicides -4.8 percent per year. Before the Port Arthur Massacre, more gun deaths were attributed to suicide than any other cause, making up 83 percent of intentional firearm deaths. The rate had been declining by an average of 3 percent per year but after gun law reforms, it declined by 4.8 percent per year. Lead author University of Sydney emeritus professor Simon Chapman told the Sydney Morning Herald a massacre was the tipping point but "far more significant in terms of lives that are lost are the day-to-day, very unspectacular killings where an individual shoots another individual or maybe two, and by far and away the biggest category of gun deaths are suicides". "We showed that if you put those killings together, they were going down before the Port Arthur massacre but they went down even faster after the law reforms and that's a really big story," Chapman said.